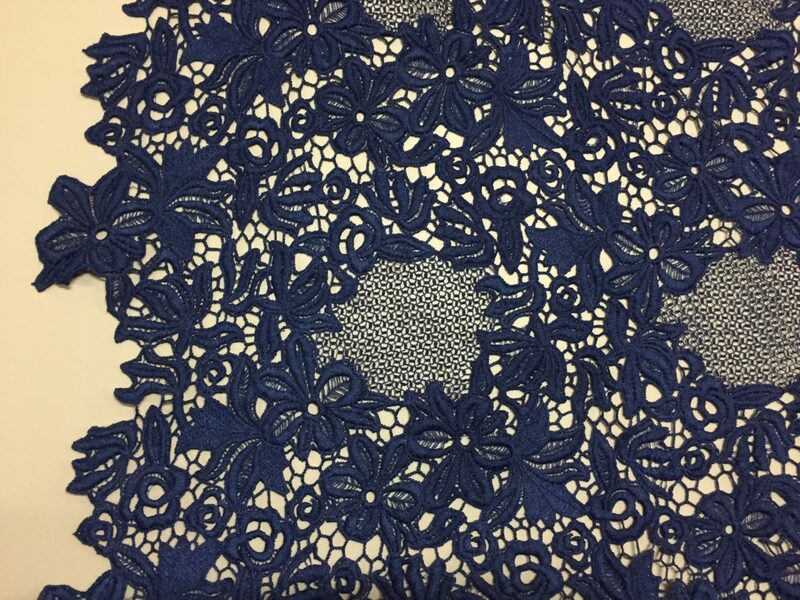 Cotton Lace, in a Deep Navy Blue geometric circular pattern with embroidered edges. A stylish piece, not your classic lace, but could be used for a classic garment. Made in Italy, medium weight, drape, 50″ wide with a slight Double Scallop.